Common and Piven arrived at the Sin City hot spot with separate entourages, but the longtime friends who starred in the 2007 film “Smokin’ Aces,” met on the red carpet. They greeted each other with hugs before posing for photos and heading into the nightclub. Once inside, the friends settled into a plush VIP area where they enjoyed dancing and drinking to the sounds of DJ Jace One. Also stopping for red carpet shots before joining the celebration at Hyde was former Miss USA Shanna Moakler and professional poker players Tiffany Michelle and Daniel Negreanu. As midnight approached and the crowd’s energy amplified, Common and Piven took the stage to count down the last few seconds of 2012. Common grabbed the mic and introduced Piven before inviting the excited crowd to count down together, saying “We came to turn it up and ring in 2013 the way it should be done! 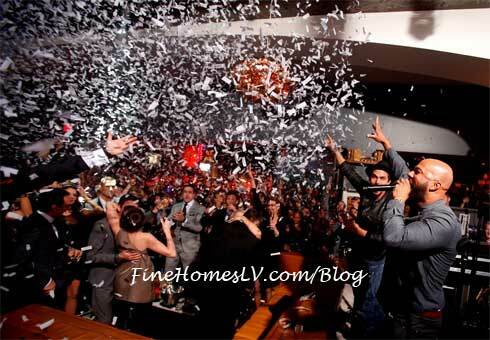 Let’s go 2013!” The club erupted as the clock struck midnight, confetti rained down and fireworks blasted outside over the Fountains of Bellagio. 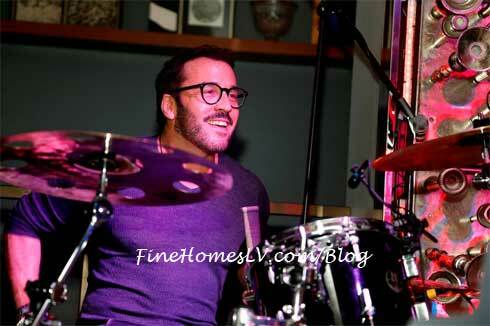 The biggest surprise of the evening came when DJ Jace One announced to the crowd, “Give it up for Jeremy Piven on the drums!” as the well-known star of HBO’s Entourage jumped behind a drum set in the DJ booth to show off his talent. The crowd went wild as Piven jammed with The Sayers Club Band for a cover of The Black Keys’ “Little Black Submarine” featuring an extended drum solo. 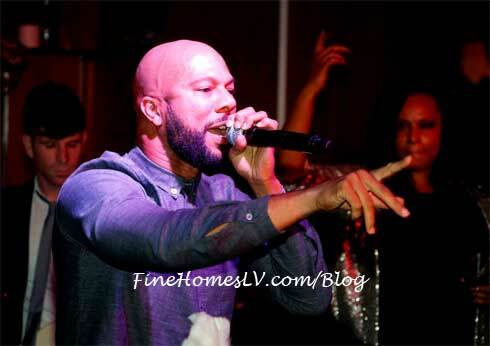 Soon after, Common made his way through the packed club for his much-anticipated performance, greeting fans again with cheers of “2013!” as he launched into a cover of Kanye West’s “Clique” followed by an impromptu, freestyle rapping session peppered with shout-outs to Vegas and Hyde Bellagio. Common called to the crowd, “I came to party at Hyde tonight in Vegas. This is going to be a wonderful year!” before joining Sykes for a collaborative take on his hit song “The Light.” Common kept the energy high during his performance, dancing on the back of oversized, leather couches and interacting with fans. Hyde’s resident DJ Mick Boogie called to the crowd, “One more time for Common!” before spinning electric dance hits to the ecstatic crowd. Common joined Piven back at their plush VIP booth, where the friends celebrated the New Year until sunrise.